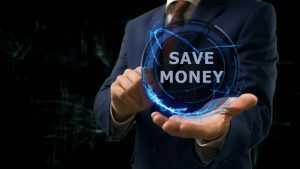 There is no denying the fact that cutting business expenses and controlling costs has become extremely challenging in today’s business environment. Modern trends indicate that companies need to reduce their expenses to effectively achieve their business goals and objectives. However, establishing control over your business and finances requires a large amount of motivation, knowledge, skills, and expertise. Why? Because only a clear-cut strategy and well laid-out plan can make cutting down your monthly expenses hassle-free. Cutting business expenses? Not a problem! Moreover, reduction in business expenses and an increase in revenue can have a big impact on a company’s profitability and are two ways by which companies can maximize their profitability index. According to industry experts, increasing sales and revenue is hard because it requires a lot of planning and strategy. It takes time and effort to come up with a brilliant execution plan. On the contrary, cutting business expenses is something that can be done easily, without much stress. All that it takes is a little bit of your time. Moreover, it is important to review your bookkeeping and accounting records to establish a clear picture of your company’s standing prior to making any solid decisions regarding controlling your costs. If you expect to reduce supply expenses, you need to look outside of your pool of traditional vendors. Look for the vendors, manufacturers, or suppliers who can offer you the best price as large discounts help you cut business expenses and costs. Bulk purchasing is ideal in each and every sense. Always seek multiple bids to get ideal rates and never make a long-term contract for supplies with a single party or vendor as saving can have a big impact on your bottom line. Hiring an in-house accounting or auditing professional can be a costly decision. That’s why most businesses rely on external accounting agencies or individuals who offer competitive rates for their services. Cutting back on your business expenses means saving money on insurance and additional bills. To meet financial emergencies and consider a business expansion, you need to regularly contribute to your savings account. Lastly, don’t take on unnecessary debt to make ends meet because you may eventually find it hard to pay back the money you borrowed from the bank with interest. Prior to making such decisions, you must do a thorough cost-benefit analysis and future forecasting. Traditional marketing can cost you a fortune. This indicates that you need to look at some cheaper alternatives like social media marketing such as Facebook, Twitter, and other similar dynamic platforms. You can build your customer base there, as studies have revealed that social media marketing is more effective than traditional marketing on the mainstream media, ultimately reducing your business expenses. By maximizing your productivity in manufacturing, you can expect to take your expenses to a minimum level. Improved R&D and market knowledge will help you achieve economies of scale, which is ideal for maximizing your profitability. To get a clear picture of your finances and business condition, you need to review, maintain. and manage your business books, if not on monthly basis, then quarterly. Moreover, to cut business expenses, you need to audit your monthly subscription billing. Switch to the software applications or talent that are worth your investment and money. You can always consider relocating your office to a more affordable area to cut business costs. Often times, in the age of digitalization, companies don’t need to have their office located in prime, expensive locations. You can move your office to a convenient location that offers affordable rates to reduce commercial rents.